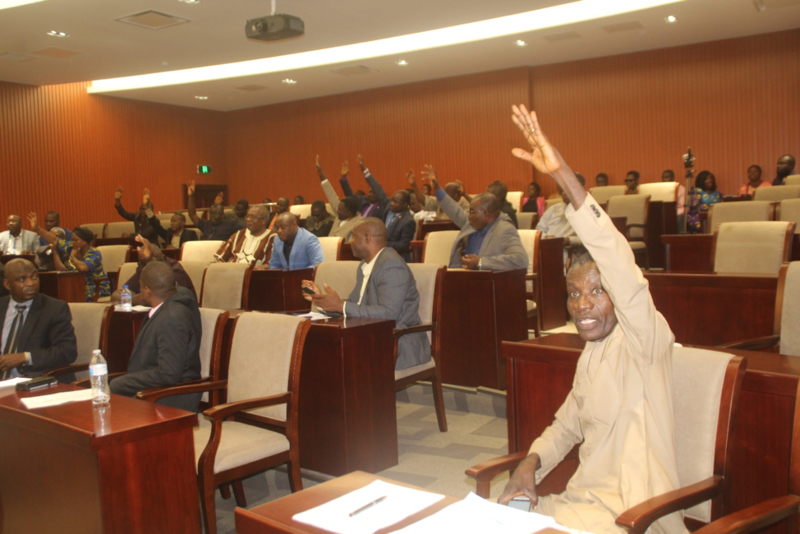 Monrovia- In the wake of the death of Matthew J. Innis, Deputy Director for Micro-Finance at the Central Bank of Liberia, the House of Representatives has voted unanimously to invite the Minister of Justice, Cllr. Frank Musa Dean and Police Inspector General, Patrick Sudue to give detailed information they have gathered about the fatal incident. The Plenary also called for the two top law enforcement officials to appear along with the head of the Liberia Anti-Corruption Commission (LACC) and give comprehensive reports on the deaths of former Liberia Petroleum Refining Company Managing Director, Harry Greaves and Whistleblower, Cllr. Michael Allison. The decision was triggered by a communication from Representative Adolph Lawrence, (Montserrado District #15), seeking plenary’s approval for Cllr. Dean and Police Inspector Sudue to appear before the august body on March 26, 2019 to give a comprehensive report on circumstances surrounding the death of Innis. An amendment to Rep. Koung’s motion was made by Rep. Isaac Roland (Maryland County District #3), who called for Cllr. Dean and IG Sudue to be accompanied by officials of the LACC to give detail report on the demise of Cllr. Michael Allison since the LACC was investigating the incident. Rep Samuel Kogar’s (Nimba County District #5) plead for the situation to be turned over to the National Security Committee because of its “sensitive nature” to report within two weeks was denied by the movant, Rep. Koung. The movant also denied Rep. Vincent Willie’s (Grand Bassa County District #4) call for the former Minister of Justice, Cllr, Benedict Sannoh and former Police Inspector-General, Col. Gregory Coleman to appear along with the current officials since the death of Greaves and Allison occurred under their watch. The Nimba lawmaker said government is continuity and as such there was no need to bring in the former officials. With this, Plenary unanimously voted in favor of the amended motion to invite Cllr. Dean, Colonel Sudue and the LACC boss. Who were Innis, Greaves and Allison? The late Matthew J. Innis, before his untimely demise served as the Deputy Director for Micro-Finance in the Regulation and Supervision Department of the Central Bank of Liberia. His death on March 3, 2019 has drawn conspiracy theories from a spectrum of the public as it happened in the wake of a clamp down by state prosecutors of current and past CBL officials following the release of the US-backed Kroll and the Special Presidential Task Force reports. CBL Deputy Governor, Charles Sirleaf, who happens to be the son of Ex-President Ellen Johnson Sirleaf and former CBL Executive Governor, Milton Weeks were among those arrested in connection with the alleged printing of excess and unaccounted banknotes. Although the two reports point out some irregularities in the US$25 million mop up exercise which was implemented by the Technical Economic Management Team (TEMT) headed by Finance and Development Planning Minister, Samuel Tweah and Co-chaired by CBL Governor Nathaniel Patry, no audit has been conducted as recommended and no arrest has been made. 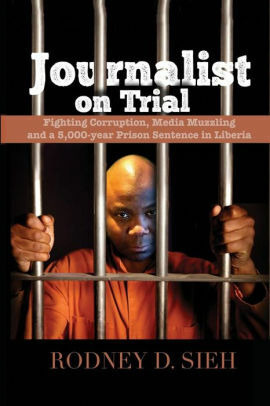 This has led to a barrage of criticisms against President George Weah with a segment of the public and the opposition blog branding the prosecution of Weeks, Sirleaf and the others as partial justice. Meanwhile, others have likened Innis’ death to that of the late Harry Greaves, former Managing Director of the Liberia Petroleum and Refining Company (LBRC) and once a closed ally of ex-President Ellen Johnson Sirleaf. Greaves was found dead on the beach near the Ministry of Foreign Affairs on January 31, 2016 and although police investigation found that he died of drowning, families, friends and skeptics still maintain that he was murdered. So, it was also in the case of the whistleblower, Cllr. 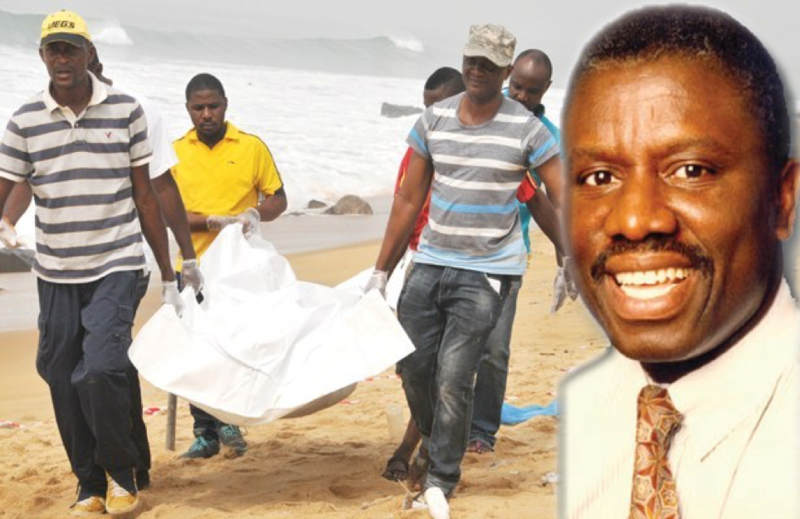 Michael Allison who was discovered dead at a beach in Sinkor, Monrovia on February 12, 2015. Allison’s death sparked huge public outcry and brought a ‘dark cloud’ over the fight against corruption in the country as he was just about to appear before the Liberia Anti-Corruption Commission (LACC) that was investigating a high-level corruption case involving then House Speaker Alex Tyler and two Ghanaian lawyers. Cllr. Allison who raised the alarm over the alleged financial malpractice did not live to testify before the LACC. He died two days before his appearance. And although the Government of Liberia, following a month-long investigation announced that there was no foul play, it is widely believed that Cllr. Allison’s death was linked to the investigation.